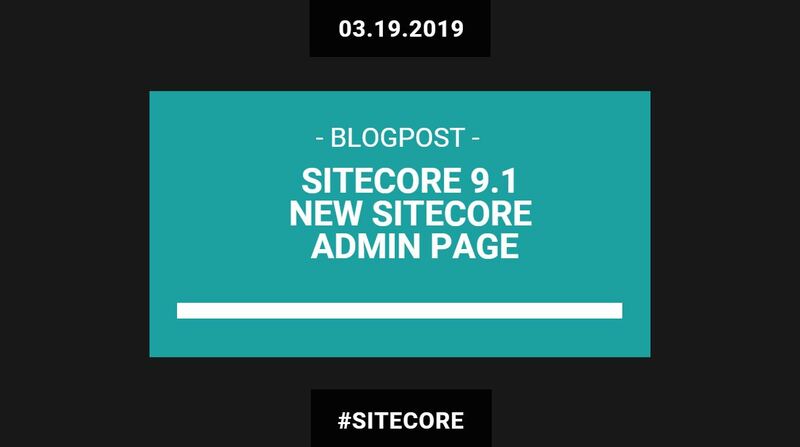 Having worked only to this date on a Sitecore 9.0.1 instance based project, I’m currently working for demo-purposes on Sitecore 9.1. One of the quick things I noticed is the changed Sitecore Admin page. In this very tiny non-technical blogpost I would like to give you a view of it. As a remark I must make that these administrative tools should never be enabled on Sitecore roles such as Content Delivery, xDB Reporting, or xDB Processing. 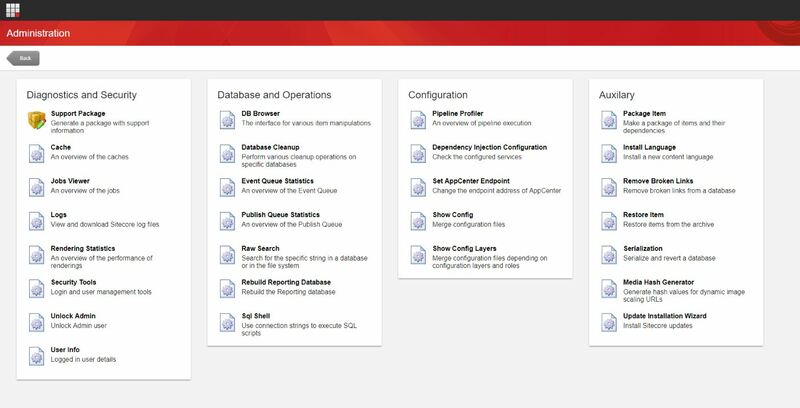 Anyway, one of the tools in there that caught my eye is the Sql Shell tool in the Database Operations column, which I never used before and now stands out more in my opinion in the new Visual UI. 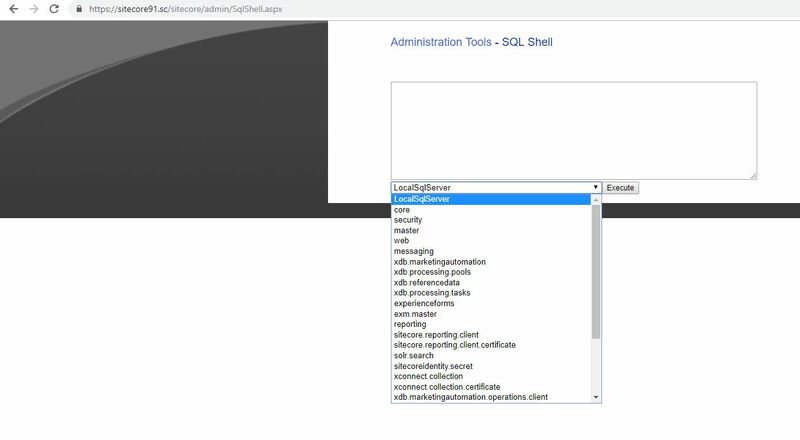 The SqlShell.aspx tool is a very powerful tool that allows us to query the Sitecore database from the ContentManagement server, without the need of going to the database server. To control the availability of the SqlShell.aspx tool, you can create an empty file in the <Webroot>/sitecore/admin folder named enabled or disabled. This file must not have an extension and does not need to contain any information. These files are not part of the default Sitecore installation. That’s it for this short post.